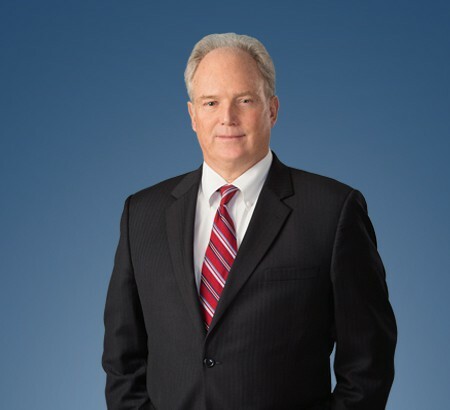 Joseph A. Gregg is a member of the Firm and concentrates his practice on environmental law, environmental litigation as well as litigation of workers' compensation cases. He is a graduate of Miami University and the University of Cincinnati College of Law. a myriad of other federal and state environmental statutes and regulations. Assisted in negotiating a confidential settlement in excess of $35 million between two Fortune 50 companies for Superfund/TSCA liabilities associated with PCB contamination in an Indiana river. Represented a private company in Northeast Ohio and organized a PRP group involving multiple industrial/commercial generators (both public and private), negotiated an agreed allocation and funded a site remediation under the Ohio Voluntary Action Plan, Ohio Revised Code, Chapter 3746. Worked with an Ohio VAP Certified Professional (CP) to submit the site for No Further Action (NFA) status and obtained a Covenant Not to Sue (CNTS) from Ohio EPA. Represented an Illinois company in a multi-year VAP clean-up at a complicated former foundry site in Central Ohio obtaining a CNTS from Ohio EPA. Represented several other client landowners/responsible parties in private (single party) VAP clean-ups through NFA and CNTS stages. Participated in a successful multi-year RCRA Part B/Ohio Hazardous Waste Installation and Operation permitting case and subsequent appeal for a commercial hazardous waste landfill. Participated in similar successful permitting case for that client in Idaho. Assisted in innovative environmental due diligence exercise for a Fortune 50 client's multi hundred-million dollar purchase of a manufacturing company involving a relatively short intense evaluation of environmental compliance at numerous facilities in multiple states throughout US and in several foreign countries. Successfully represented a Michigan company in a USEPA air enforcement case and negotiated an Administrative Order on Consent. Negotiated an amicable resolution of a state-lead air enforcement/permitting case for a South Carolina manufacturing facility. Assisted in environmental due diligence and negation of environmental reps and warranties in a stock transaction for sale of a scrap metal recycling company valued in excess of $1 billion. Regularly reviews environmental site assessment reports and participates in due diligence and negotiation of reps and warranties in commercial/industrial real estate transactions. Successfully tried to jury verdict over two dozen Ohio workers compensation cases pursuant to Ohio Revised Code 4123.512 for both self-insured and State-fund employers. In this capacity has worked with or against many of Ohio’s preeminent medical experts on medical causation issues for both physical and psychological injuries.